This is photo #31 (of 50) in a series about life in Brazil. Brasília prides itself in being a health-conscious city. 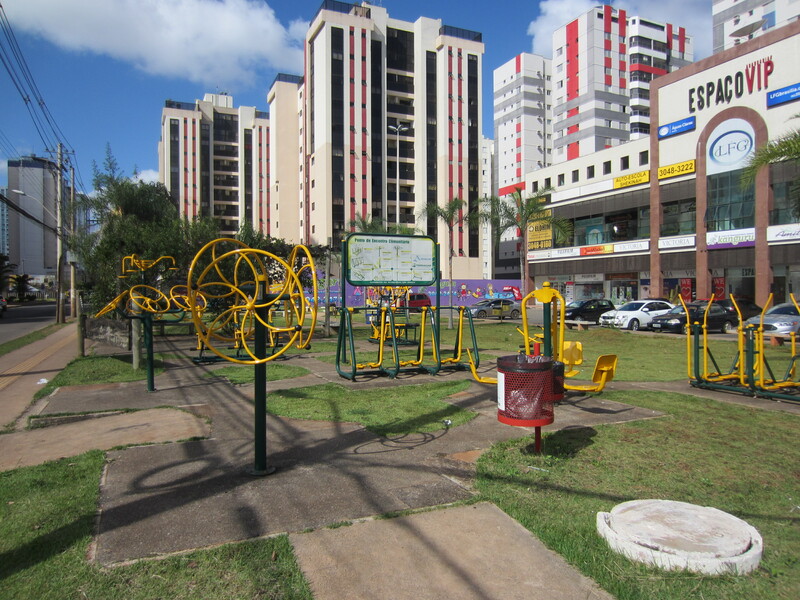 In almost every neighborhood there are public exercise areas. Although the paraphernalia looks like playground equipment you never see children playing on them.This one is a block from our apartment building. Why don’t the children play there? They know they are not toys. Exercise is taken very seriously. Do people actually use this equipment for exercise?